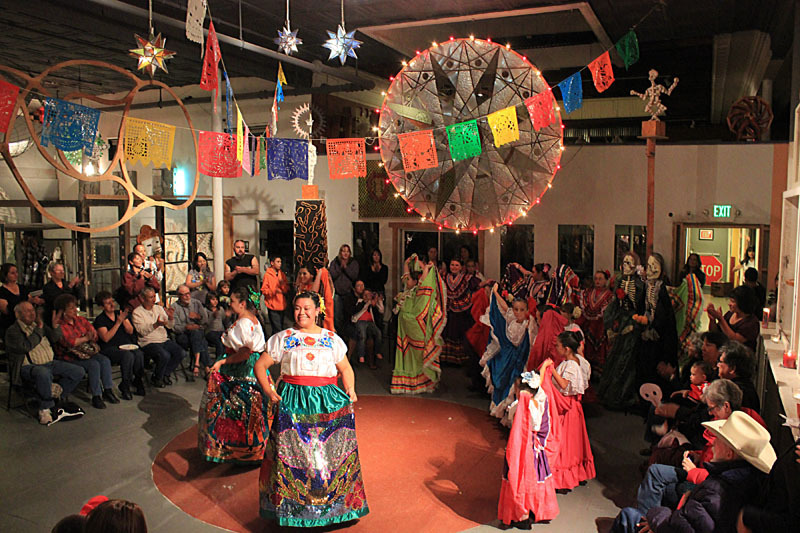 Snowdrift Art Space held its 2nd Annual Day of the Dead Celebration on Friday, November 2, 2012. This year’s event included a sugar skull workshop hosted by Nuestras Raices from Flagstaff, the Northland Pioneer College’s Ballet Folklorico Dancers, Spanish Guitar performed by Khent Anantakai, and handmade Day of the Dead objects on sale from Sandra Martinez. We thank each of them for helping to put on a great event, and we’re also grateful to everyone who set up altars in memory of loved ones.